I'm in love with all foods that are bite sized. Mini. It innocently started with Mint Brownie Bites. When I discovered this doughnut pan, I went on a mini doughnut binge. Chocolate Mini Doughnuts. Mini Powdered Sugar Dougnuts and Coconut Crunch Doughnuts. Then I fell in love with a mini bundt pan and these were born: Mini Orange Bundt Cakes. Then I started thinking about cheesecake. 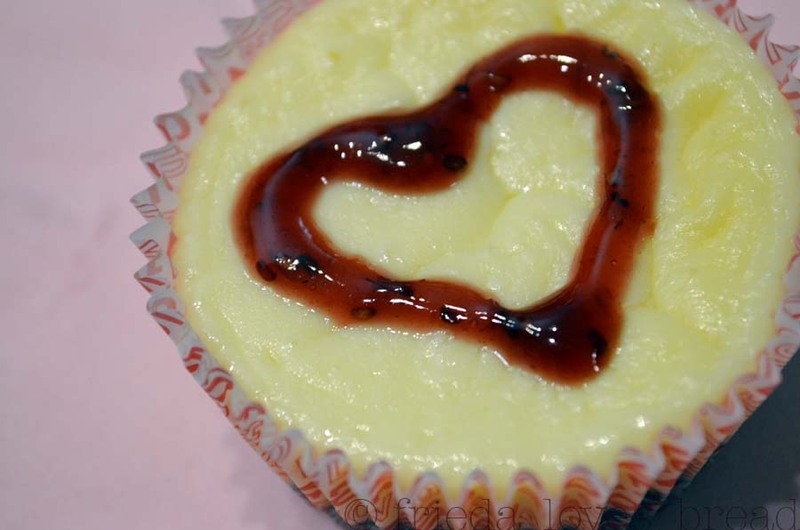 Itty bitty mini cheesecakes; perfect for a single serving. I couldn't bring myself to purchase yet ANOTHER mini baking pan and seriously restrained myself. 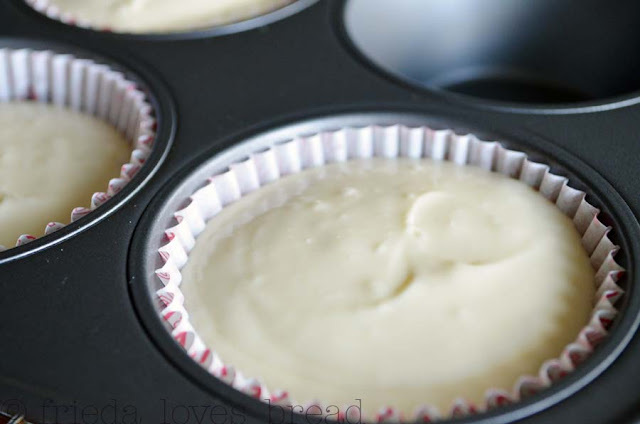 Hello muffin pan. Do you miss me? Not the mini muffin pan, silly, the regular sized muffin pan! 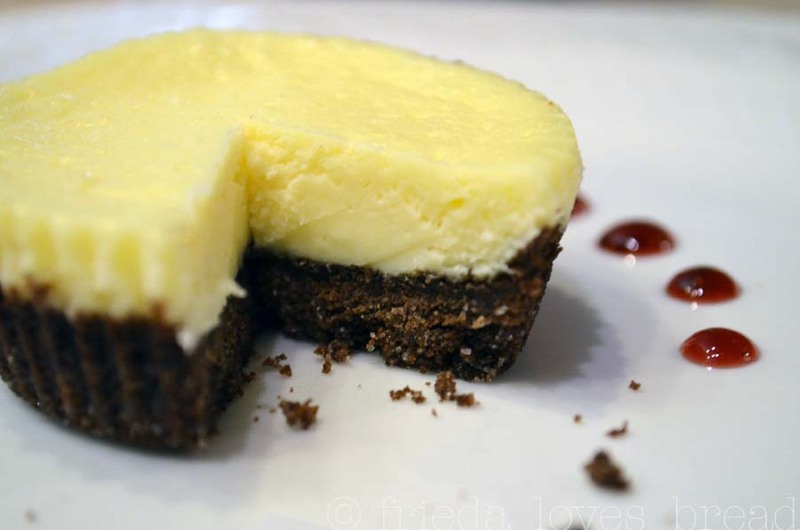 I thought back to my NY Cheesecake recipe to discover what was missing. A water bath! 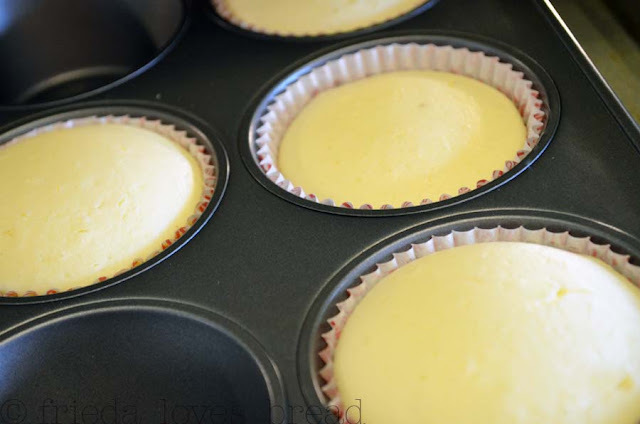 Oh yes, I needed a HOT water bath by this point, but so did my cheese cake ~ look what happens when the muffin pan is place in my larger 11x17" pan and filled with hot water ... I doubled the crust and used cupcake liners. 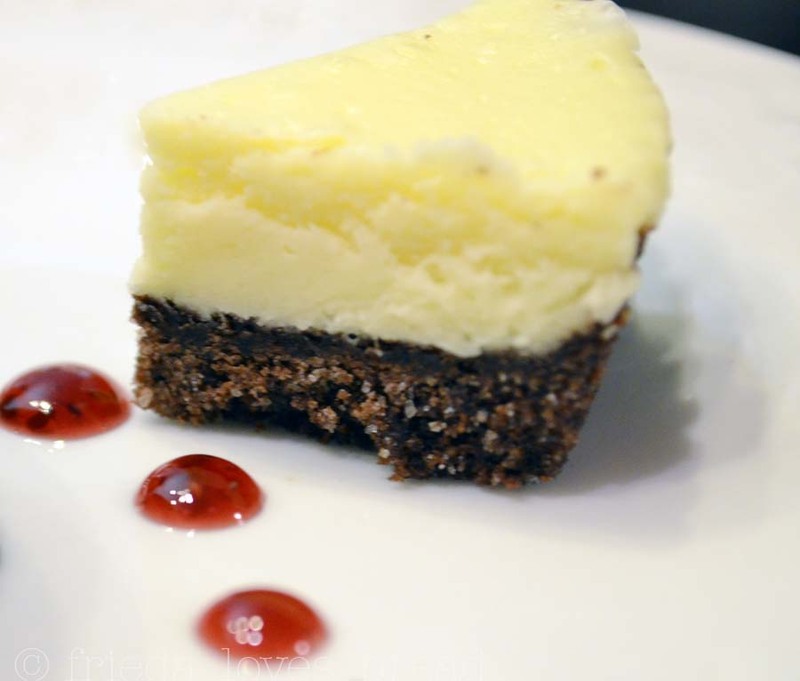 This cheesecake recipe is easy and simple. Just remember two things: room temperature ingredients and don't over mix the batter, and you'll be just fine. 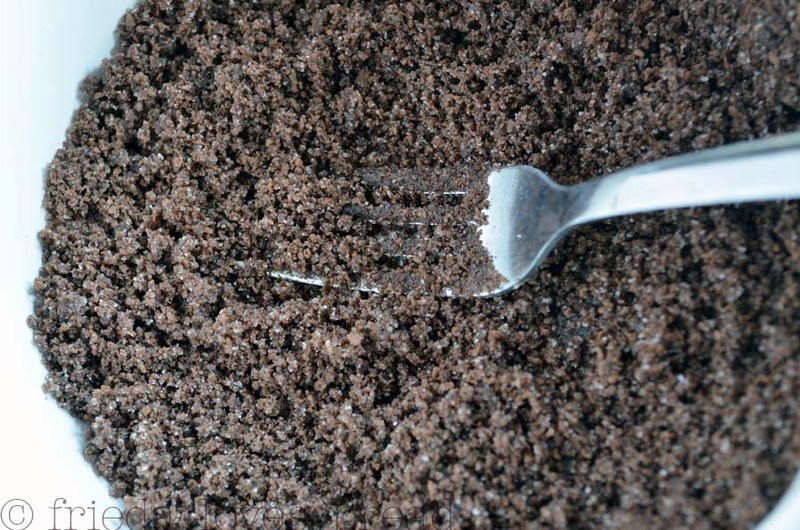 First, the recipe called for crushed Oreos. Oreos are dangerous in my house. I would eat them all and they would never make it into the recipe. I opted for chocolate graham crackers instead. Crush 'em and toss with sugar and butter. 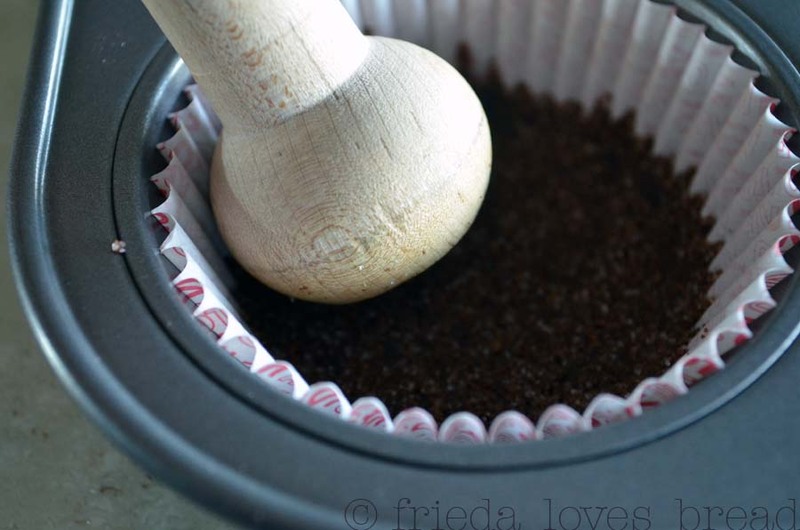 Put a heaping tablespoon of crumbs into each cupcake liner and press down with a fork or spoon. I happen to have this mini tart shaper from Pampered Chef, which worked beautifully. These are baked for 5 minutes in the oven and removed to cool a bit. 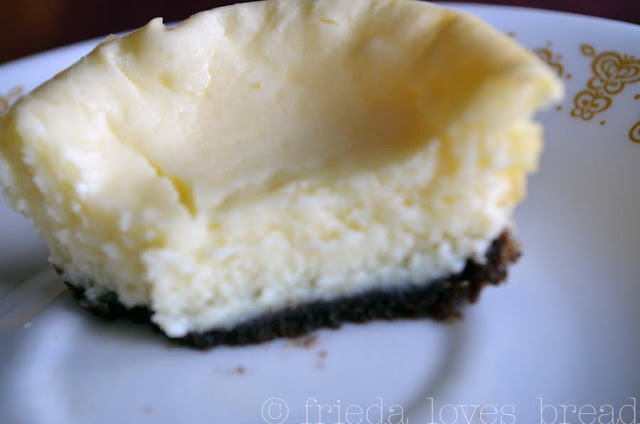 Room temperature cream cheese is essential to making a creamy cheesecake. I cheated a little and "defrosted" it on power 30 for a minute or so in my microwave. Cream this with some granulated sugar. 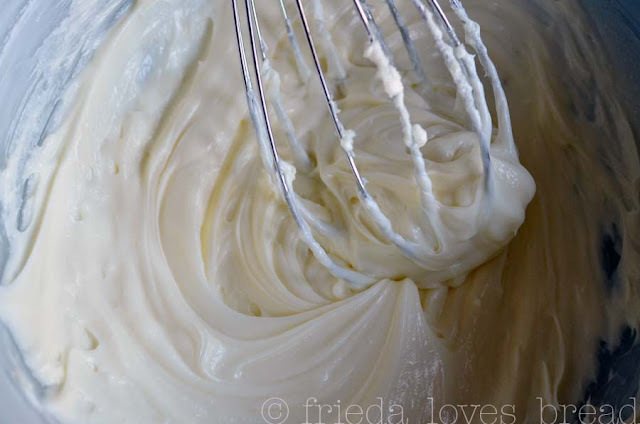 I use a whisk to keep me from over mixing it. 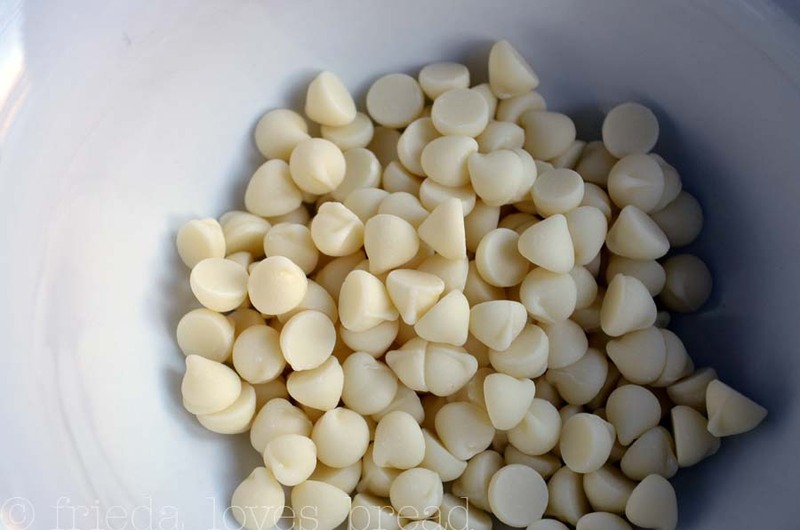 Guittard White Chocolate Chips are melted them in my microwave and mixed in. Ah .... success! No sunken in cheesecakes! Here's another tip. Turn off the oven, open the door and let these cool naturally IN the oven, okay? Serve with your favorite fruit filling, fruit jam or my favorite ... chocolate syrup.